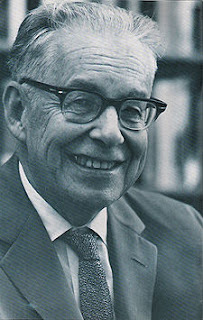 His full name Charles Francis Richter. Born on a farm in Ohio, USA, on 26 April 1900. At a relatively young age, 16 years old, he moved with his mother to Los Angeles, California. In this city seismological Richter was educated at the University of Southern California (1916-1917). After that, he moved to Stanford University to study theoretical physics and graduated in 1920. In his first alma mater, in 1927 he worked in the seismology laboratory in Pasadena, California. A year later he married Lilian Brand. In 1928, Richter holds a doctorate from the University of California Institute of Technology (Caltech). At this university Richter achieved fame. At Caltech also, with Beno Guetenburg, in 1935 Richter developed a way to measure the size of the earthquake, which is what became known as the Richter scale. That is based on the amplitude magnitude earthquake is recorded by means of Wood-Anderson seismometer type at a certain distance from the earthquake source. In principle, the magnitude of the earthquake magnitude is proportional to the amplitude and inversely proportional to the distance to the earthquake source tools. Elaborate on the Richter scale earthquake strength with numbers in the range between 0-9. That is, the number 9, as happened in the earthquake that caused the tsunami in Aceh on December 26, 2004, is the highest and rare. Although at first, in the 1930s, the unprecedented magnitude earthquake greater than magnitude 8.9, the scale is still used. Figures obtained by measuring the magnitude of earthquakes greatest amplitude in microns (10-6 m = 10 to the power minus six) on the seismograms. Designed with a standard seismograph distance as far as 100 km from the epicenter. From there it gained logarithm earthquake. In addition to making the scale used to measure the strength of an earthquake, Richter also wrote textbooks for seismic. Among others Elementary seismology (195 8) and the seismicity of the Earth (1954) is written with colleague, Beno Gutenberg. Together Frank Presso, Beno Gutenburg, and Hugo Benioff-three scientists and seismologists at the California Institute of Technology (Caltech), United States-Richter is known as the Father of Seismology (The Fathers of seismology). maketh the determination of the legendary Richter scale. At first, the Richter scale used to measure the relative strength of an earthquake in California. Today, the scale of it (in a modified form) are used to measure earthquakes around the world. Richter was not the first to make a determination of the magnitude scale earthquake forces. Previously existing Giuseppe Mercalli, an Italian scientist, who studies volcanoes and created Mercalli scale. On the Mercalli scale, the earthquake intensity is measured with a scale consisting of 12 points. Mercalli scale measures an earthquake of reports of people who see the damage and interviewed survivors. Therefore, the Mercalli scale is very subjective and not as accurate as the Richter scale so as to measure the strength of the quake until now still used on the Richter scale. Since the 1960's also introduced moment magnitude scale is more accurate. Long before Richter was born, a prototype scale earthquake damage scale 10 levels, have been developed and the Rossi Forel 1883. After that, in 1897 came the Mercalli scale when it is still using the same scale as Rossi and Forel, 10 levels. Cancani in 1904 further develop longer range of the scale to 12 points. After that, Sieberg went on to analyze the effects and descriptions of building damage and make it accepted as an international scheme in 1917. Since then, the scale is called scale-cancani Mercalli-Sieberg and used worldwide. However, since 1964, the experts use more Mercalli scale that has been updated. Scale also made the Japanese earthquake. Because the position and geological conditions, the country is often hit by earthquake damage. No wonder then if the Japanese earthquake experts creatively creates its own earthquake scale, which is different from the earthquake Mercalli scale. In 1900 appeared Omori scale that measures the strength of the earthquake at seven levels of damage. However, the scale is then modified to only six levels alone. Omori scale measuring earthquakes based on the level of damage. Score one for measuring earthquake obvious, but not dangerous. While the figure of six to measure the destructive earthquake. Richter died in Pasadena, California, USA, on 30 September 1985. Although gone, the name and services will remain distinct people. As a token of appreciation to the researchers in the field of kegempabumian, starting in 2005 were awarded in the form of Richter Award. Dr. Emily Brodsky of the University of California, Los Angeles, was chosen as the first recipient of the Richter Award. Emily ceremony to be performed in an annual meeting in 2006. The committee chose Emily on the consideration that his research on how earthquakes, volcanoes, and landslides occurred, is considered very innovative and prominent.